Preparing students for a brighter tomorrow. Where primary and secondary educations are our top priority. When it comes to primary and secondary educations, newcomers to Holland are often surprised by the number of schools and multitude of educational options available to those who call this place home. What's more, is the quality and acclaim of the primary and secondary schools in Holland, Michigan. Between public, charter and private schools, many of our educational programs are recognized on a national level. As are the teachers, extracurricular programs and athletic teams associated with them. 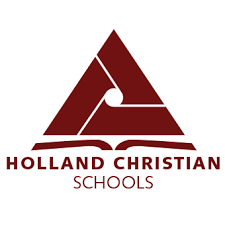 Year after year, Holland's fundamental schools earn widespread applause for the quality of their educations and overall programs. We have successful public, charter and private schools, each with awesome advantages of their own.